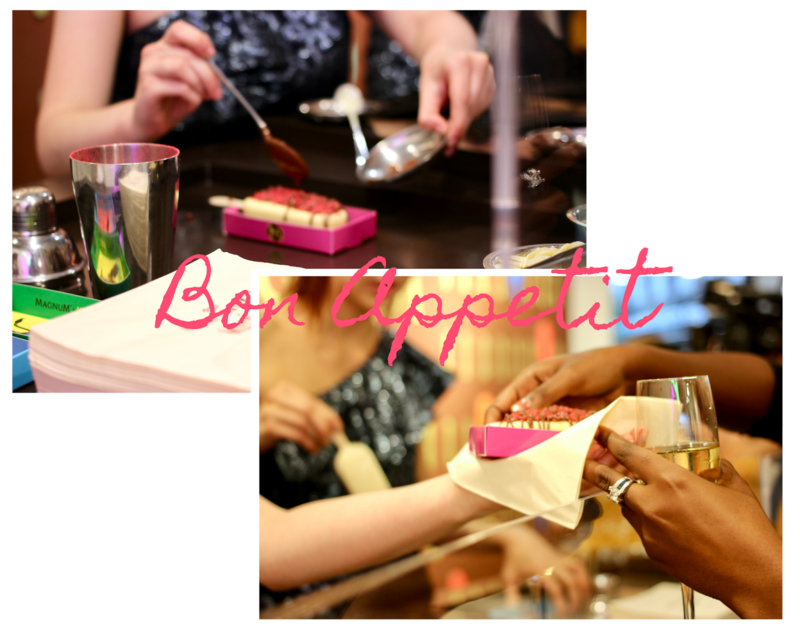 Who doesn’t love a decadent Magnum every now and then? I sure know I enjoy taking that first bite that cracks the chocolate so beautifully. Even if you are vigorously trying to achieve your ideal shape for the bikini season, you have to treat yourself once in a while! 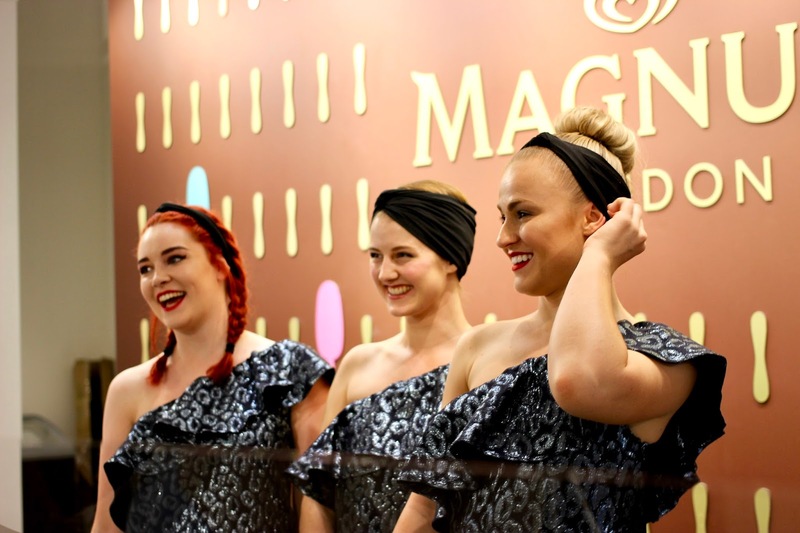 Last week, I was kindly invited by Lauren from SAHARASPLASH to join her to the exclusive Magnum Pleasure Store launch party. 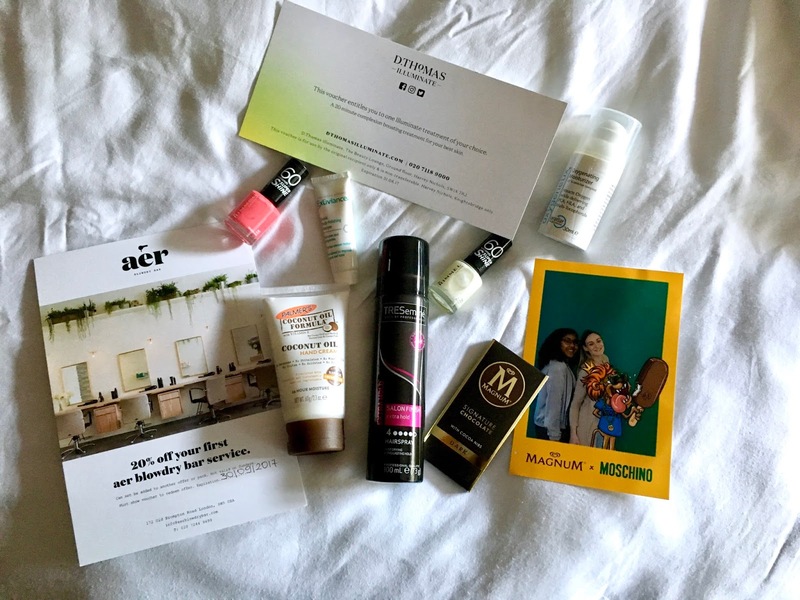 The Pleasure Store is a pop-up store that will be open to public until 10 September. Starting from £5.50 you are able to create your personalised Magnum, by choosing the chocolate, three toppings and drizzle. Yummie! 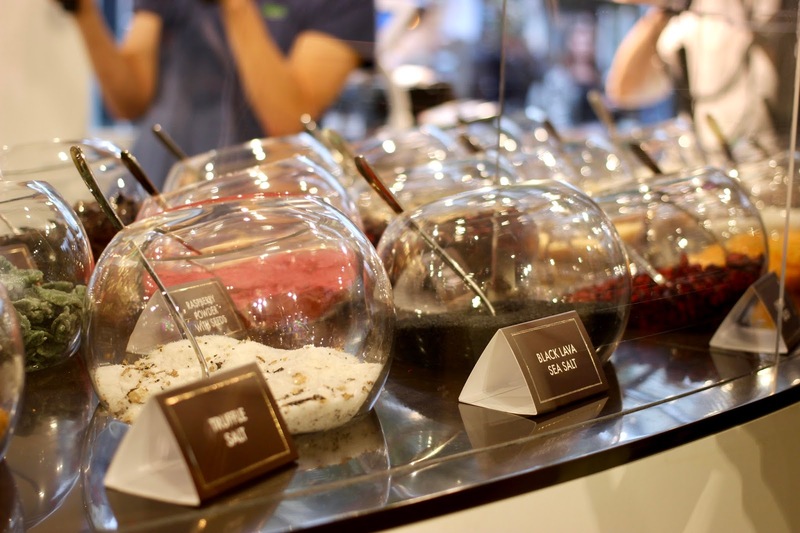 There were some fancy toppings available, that made me question their edibility just slightly… So after giving it some thought, I went for a dark chocolate, coconut shavings, almonds, cherries and white chocolate drizzle. Although it was a social event, for those 5 minutes I went quit and enjoyed every single bite! 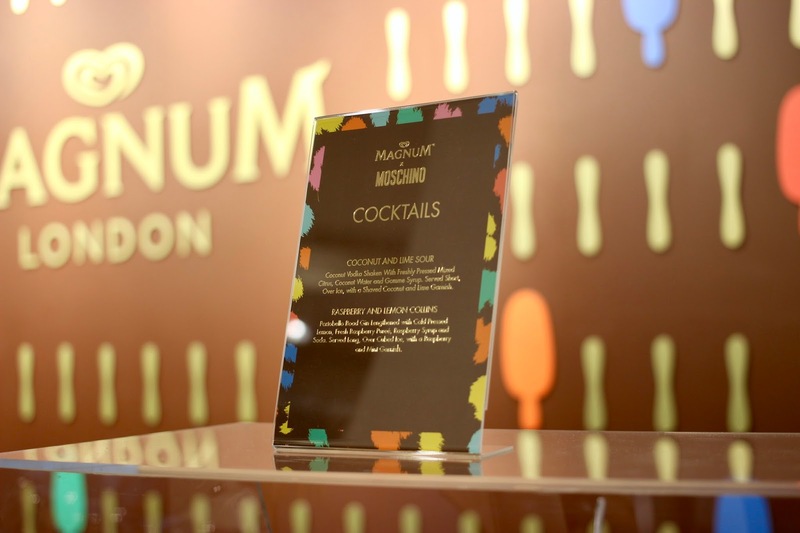 Even if you are not the Magnum type (seriously how can you not enjoy a Magnum), it is still worth paying this Pleasure Store a visit, as it was designed by Moschino’s creative director Jeremy Scott. Throughout the store you will find various Moschino items that are totally Insta-worthy. During the event, staff were wearing these gorgeous Moschino dresses, fancy right? 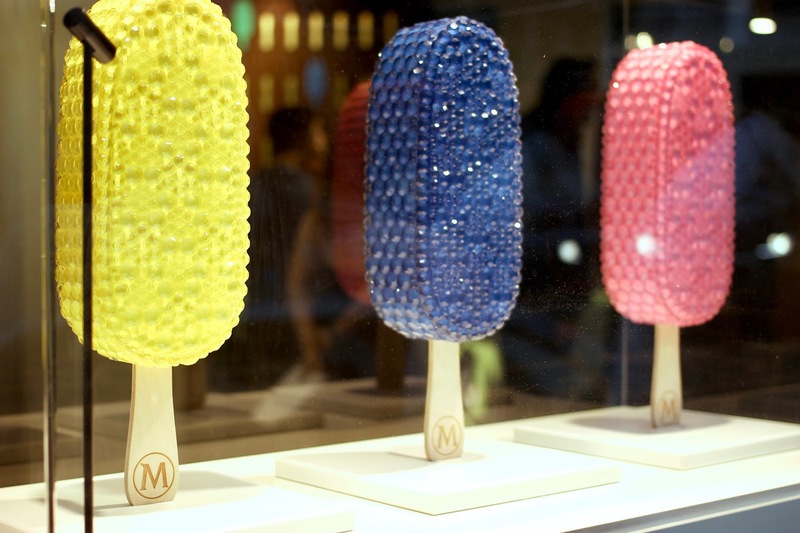 How would you personalise your Magnum?